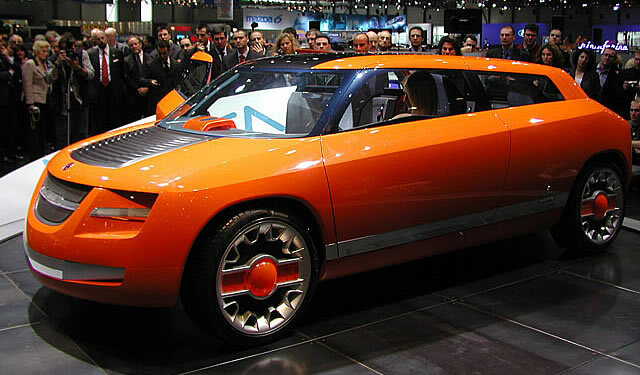 The Italian car design and manufacturing company Bertone and Swedish ball bearing factory SKF (Svenska Kullagerfabriken AB) worked together on a project to design a drive-by-wire concept car in 2002. 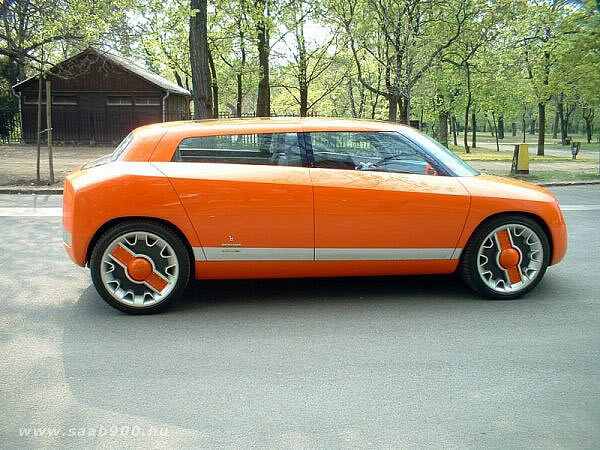 The concept car Bertone Novanta was built on a Saab 9-5 3.0t V6 platform and was Bertone’s interpretation of what a new Saab 9-5 may look like in the future. 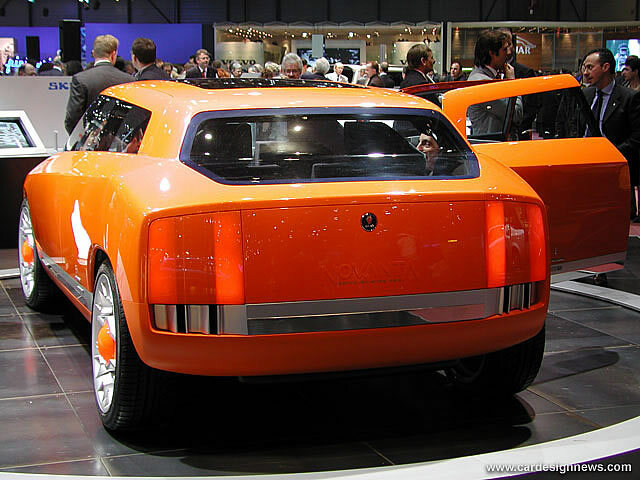 Novanta in Italian translates to ‘ninety’ and the concept car was developed to celebrate Bertone’s 90th birthday. 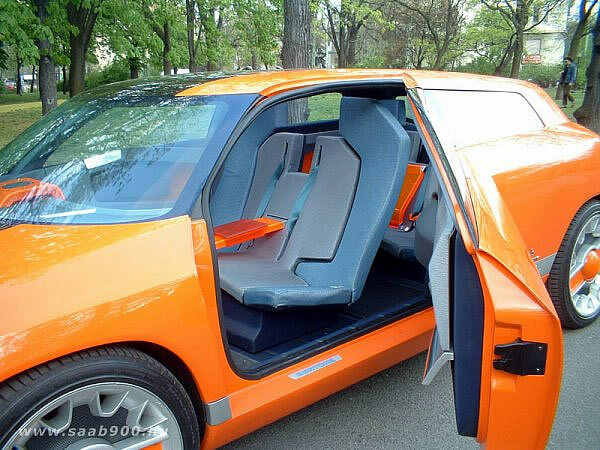 There is one door on the left and two doors on the right side of the car. 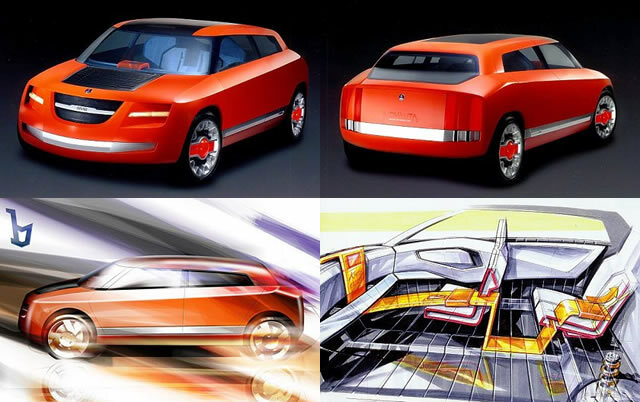 Because the concept car was based on the Saab 9-5 platform and engine, it was fully functional and driveable. There is no steering column, no gas and brake pedals and not even a gear shifter. When the driver enters the vehicle and closes the door, the “Guida” driver control unit folds out of the door on a pivot arm. The unit resembles the steering controls that one might find on a video arcade flying game. Steering, throttle control, braking and transmission mode selection are on the driver control unit. The steering yokes have twist handles that control vehicle acceleration somewhat like the twist-throttle on a motorcycle, and the brakes are applied by squeezing paddles on the backs of the yokes. Most concepts look futuristic but there are some styling elements that we can still find in the Saab 9-4X and second generation Saab 9-5 today. Most obvious is the canopy-styled roof with the black A-pillars. A similar design can be found on the Saab 9X concept that was introduced in 2001. And this is not a coincidence. The Saab 9X was designed by Saab’s Advanced Design studio and final assembly of the show car was at Bertone in Italy. The 2008 Saab 9-X BioHybrid and Saab 9-4X concept show even more similarities with the thick and prominent C-pillar and blacked-out A-pillars. The front of the Novanta has the Saab-shaped center grill, the familiar Griffin logo together with headlights that appear to be LED strips. Definitely Saab-inspired and a similar appearance as the Saab 9-5. For SKF and Bertone, the event has provided an opportunity to put a “concept” on the road. This concept offers a solid example of the way in which drive-by-wire technology fits with the idea of technology combined with environmental responsibility, as promoted by the Challenge. It also demonstrates the opportunities of a modern, more socially aware approach to transportation.The 2002 Michelin Challenge was held at several locations in Germany and France, culminating at “Le Mondial de l’Automobile 2002,” the Paris International Motor Show. 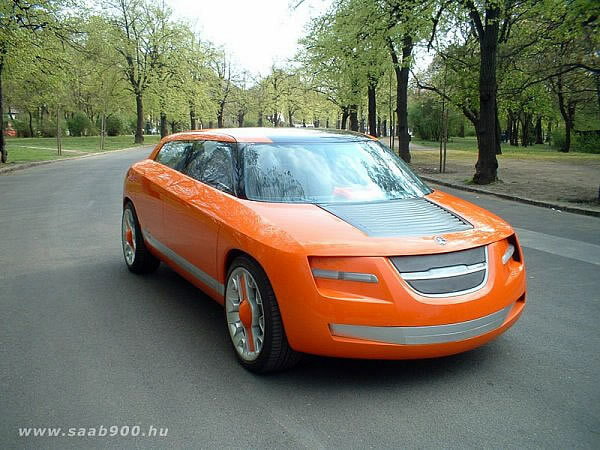 The Novanta’s sports body is designed on a SAAB 9-5 three-litre V6 platform. The proposal of a classic executive saloon has been made to get across to the public the fact that drive-by-wire technology is not a momentary trend, but a technology in which SKF and Bertone strongly believe.